Soft harp arpeggios under spacey vibraphone harmonies, creating a tranquil mood. Upright bass and violin pizzicatos create a sensual and curious latin-style groove. An old-timey swing sound creates a cheery mood. Fuzzy electronic ambiance recreates the quality of an old record player. Tuba and Spanish guitar create a driving Flamenco groove with passionate bandaleon melodies. An introspective folk violin solos over a swaying piano motif, creating a nostalgic and thoughtful mood. A slow folk sound with tender violin melodies and lush guitar harmonies creates a nostalgic mood. Tranquil and inspiring; a soft folk sound of piano and soothing xylophone melodies. A relaxed alternative folk groove is steady throughout under contemplative piano melodies and electric guitar. An uptempo bluegrass groove, featuring acoustic guitars, banjo and jaw harp. A pleasant, yet contemplative banjo solo. A cool and encouraging country sound of tremolo electric guitar and active percussion creates a feeling of triumph. 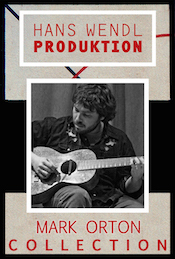 A twangy electric guitar plays over a shuffling, americana sound, creating an intriguing and easy-going mood. A lo-fi, upbeat country groove with splendid organ melodies and galloping rhythm. An introspective melodica melody floats over a soft yet determined country sound, creating a heroic tone. Banjos, shakers and jaw harp creates a cheerful bluegrass groove. A comforting folk guitar moves pleasantly under a contemplative melodica, creating a gentle and tender sound. A mischievous gypsy groove transforms into a bluesy folk sound at 0:51. A playful latin-jazz sound featuring acoustic guitar, fiddle and accordion creates a lighthearted mood. A rhythmic latin groove with dark harmonies and a passionate trumpet solo creates a sensual mood. A lush string orchestra opens to a romantic jazz ballad with female vocals. Lo-fi recording effects provide a vintage record player sound. An acoustic guitar riff opens for a Eastern European folk groove with contemplative violin melodies. An energetic latin groove is steady throughout under an impassioned bandone√≥n melody, creating a determined mood. A rhythmic upright bass groove opens to passionate gypsy violin and accordion melodies, creating a mysterious mood. A quaint Latin groove with bouncy bandone√≥n and violin melodies creates an eccentric, flirty vibe. Piano and finger-picking guitar duel, in a soothing folk sound. At 0:36, dissonant harmonies from the piano creates an unsettling feeling. A gypsy-sound of pianos and fiddle creates a bouncy and intriguing mood. Acoustic guitar arpeggios underneath soft refrains from a sweeping fiddle and trumpet. A gentle plucking harp enters at 0:55, adding mystic to an introspective sound. Gentle, heartfelt accordion and violin melodies drift over a pensive acoustic guitar. A rhythmic Spanish guitar opens to a quirky latin groove with eccentric violin, accordion, and clarinet melodies.